Huge Savings Item! Free Shipping Included! 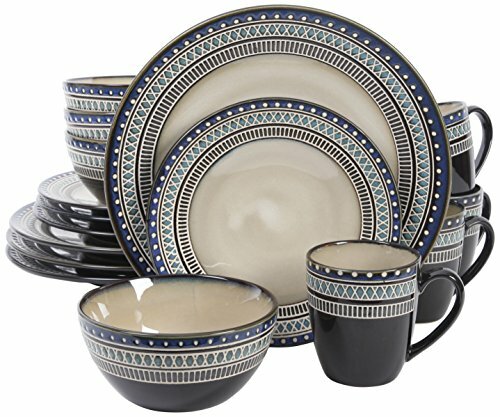 Save 19% on the Gibson Magello 16 Piece Dinnerware Set, Cream/Brown/Blue by Gibson at Foom App. MPN: 6937386. Hurry! Limited time offer. Offer valid only while supplies last. Beautiful and complex reactive glaze dinnerware. Featuring multiple techniques and color layers. Soft blue and cream with onyx and brown impressions.